Journey back in time to this rollicking run along forested, unpaved paths of our Sag Valley Trail System within the Cook County Forest Preserve - Region 7. 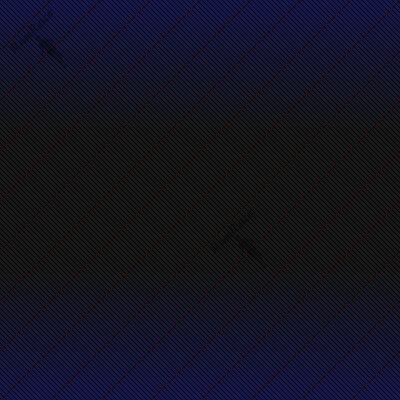 We've charted another stimulating course that's sure to satisfy your primordial instinct to "go long." Are you up to the challenge? Choose your distance wisely... take your training seriously... then come race day, "finish or fossilize!" Registration will open on Monday July 11th, here on our RunRace Network! 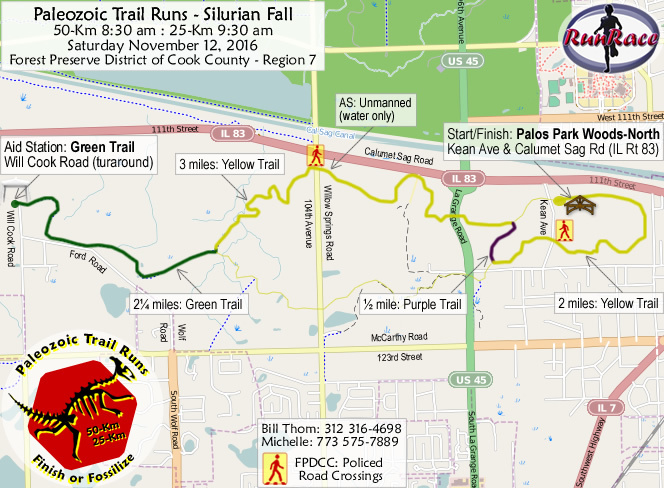 Our fall version Paleozoic Trail Runs, Paleo-Silur takes place entirely within the Sag Valley Trail System, Region 7 of the Forest Preserve District of Cook County, which is located approximately 22 miles southwest of downtown Chicago. Palos Park Woods-North, Grove #1 serves as race start / finish area and our primary aid station. A variety of surfaces make up our Paleo-Silur racecourse. Wide crushed gravel paths comprise about 90% of this course. Along the way you may encounter a mix of narrower, more rugged dirt trails, occasional grass segments, and even stretches of choppy erosion. The non-crushed gravel sections can be moderately rocky with an occasional stray root. Compared to most others in greater Chicagoland, our course should be considered as "quite hilly." Trail shoes are recommended, but not necessary, especially if conditions are dry leading up to race day. Our racecourse will be well-marked, with fully stocked aid stations at ~7.75-mile intervals, plus an unmanned / water-only station near midpoint. There will be four (4) road crossings per lap, policed by FPDCC personnel. Each out-n-back lap is 25 kilometers (15.5 miles) in length.